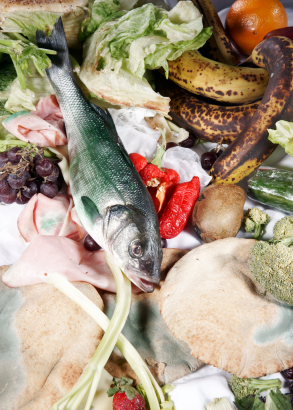 How Much Does 2,000,000,000 Tons of Food Waste Cost Us? I italicize the last part because part of the problem is that grocers don’t know the condition of their food when they receive it. They don’t know how the product’s condition at harvest, how it was handled, if it was shipped properly or if it has a week of shelf life or only a couple of days. Their answer: dump it and factor it into the cost of doing business. But who pays for that? Having metrics about the history and condition of perishable products when they are received by the retailer can help. But, as mentioned in this report, the problem starts far before the food ever gets to the retailer. You have to start managing the product at harvest to ensure it is properly stored, processed and handled. Growers, packers, shippers and retailers need actionable data at every step along the supply chain to reduce or eliminate waste before product gets to the stores and ensuring better quality, fresher products for consumers. The tools exist to deal with the problem. We just have to use them and consumers and retailers need to take the lead. This entry was posted in Food Safety, Perishables and tagged Cold Chain, food waste, grocers, growers, Intelleflex, retailer grocery, temperature monitoring. Bookmark the permalink.